The Hebrides comprise a widespread and diverse archipelago off the west coast of mainland Scotland. There are two main groups: the Inner and Outer Hebrides. 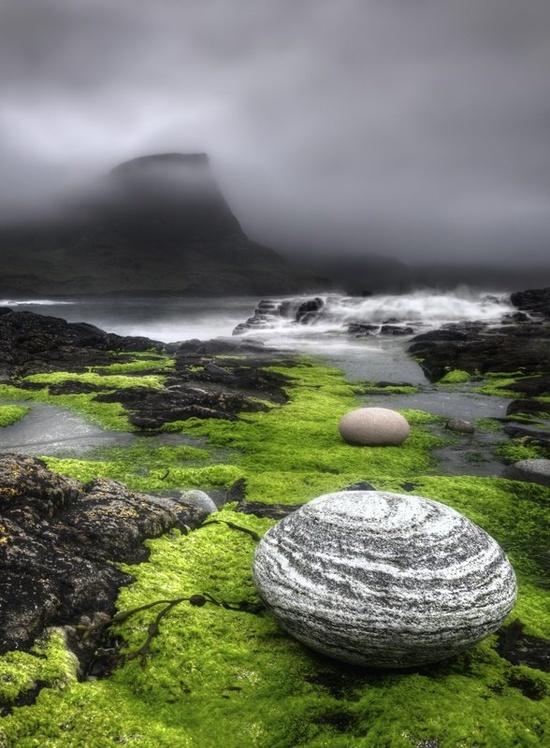 These islands have a long history of occupation dating back to the Mesolithic and the culture of the residents has been affected by the successive influences of Celtic, Norse and English-speaking peoples. This diversity is reflected in the names given to the islands, which are derived from the languages that have been spoken there in historic and perhaps prehistoric times.A variety of artists have been inspired by their Hebridean experiences. Today the economy of the islands is dependent on crofting, fishing, tourism, the oil industry and renewable energy. Although the Hebrides lack biodiversity in comparison to mainland Britain these islands have much to offer the naturalist. Seals, for example, are present around the coasts in internationally important numbers. Тема „Ефирно“. Изображенията в темата са от sndr. Предоставено от Blogger.